I was asked to review this from the author in exchange for an honest review. Karli Perrin is the author of April Showers and April Fools. 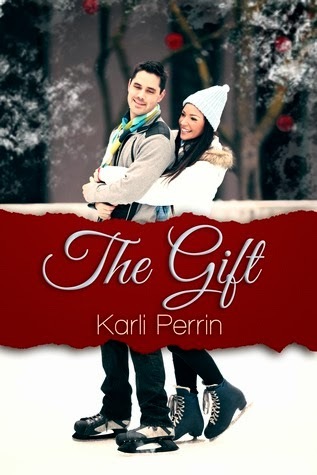 The Gift is a very cute short story. It's written in first person, and is a new adult romance that is perfect for the month of Christmas. I really enjoyed this story, even though it wasn't big in length. The characters were lively and I enjoyed reading about them. Imogen I could tell was a great person, and Blake was charming and very sweet. It was a very cute, gushy romance. There's so much steamy sexual-ness. Strong language is inside, so be prepared. I really liked the general storyline and the writing was perfect. The beginning was explained well, and the ending was cute. There was a heart-thumping scene near the end that nearly got me. I was literally like "Oh no!" My only criticism would be that I'd want more of the story. Overall all it was great, so I gave it five stars. If you want a cute quick read, then give this a read.